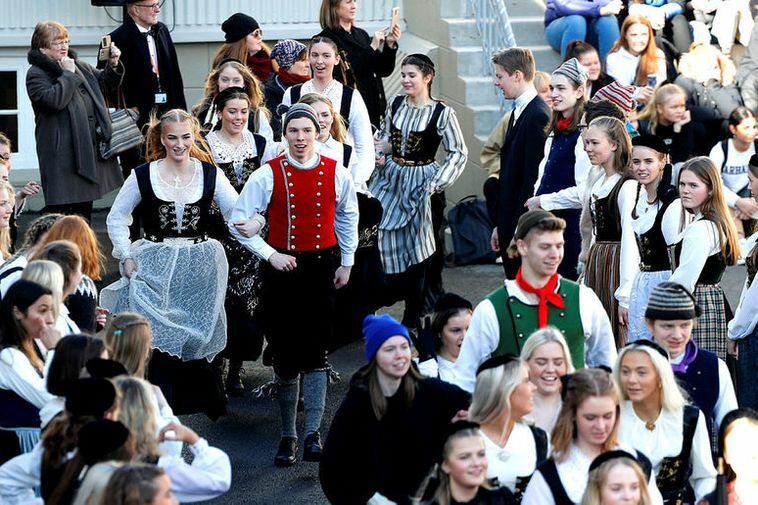 The annual peysufatadagur, or “national costume day,” was celebrated on Friday by Kvennaskólinn junior college in Reykjavík, which is located on Fríkirkjuvegur, near the Reykjavík Pond. 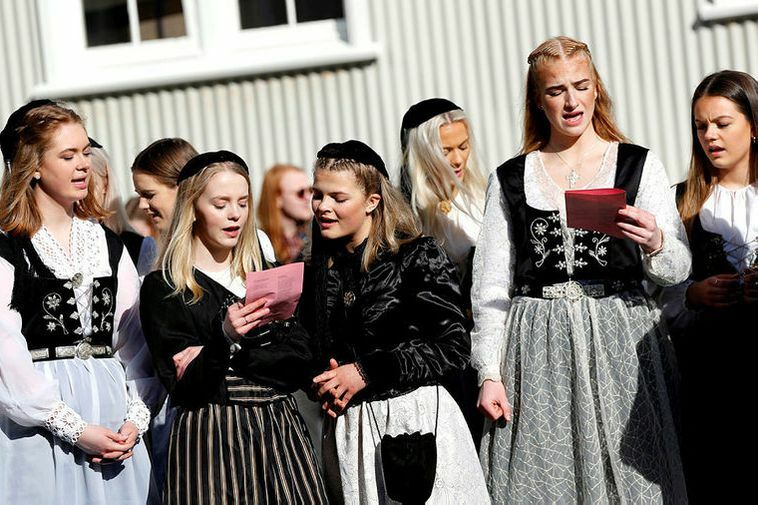 On this day, juniors dress up in the Icelandic national costume and take a stroll around downtown, where they sing and dance. 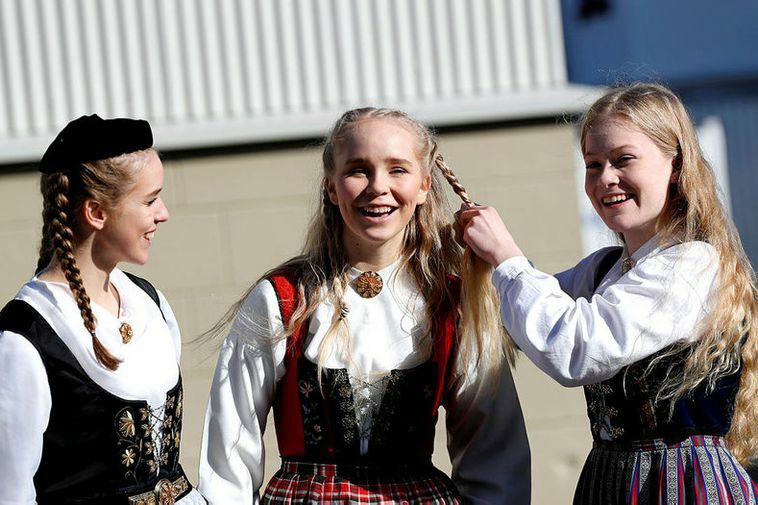 The weather on Friday was ideal for this celebration, giving Morgunblaðið’s photographer plenty of photogenic opportunities. Take a look at his series of pictures above by clicking the arrow on the first picture. 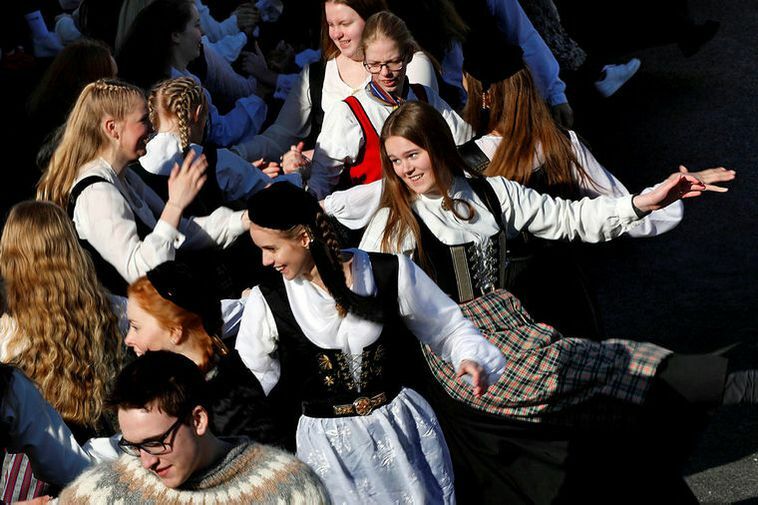 The name peysufatadagur means “the day of peysuföt.” Peysuföt is one type of the Icelandic national costume, while upphlutur is a more common variety. Either kind of costume can be used on this day. 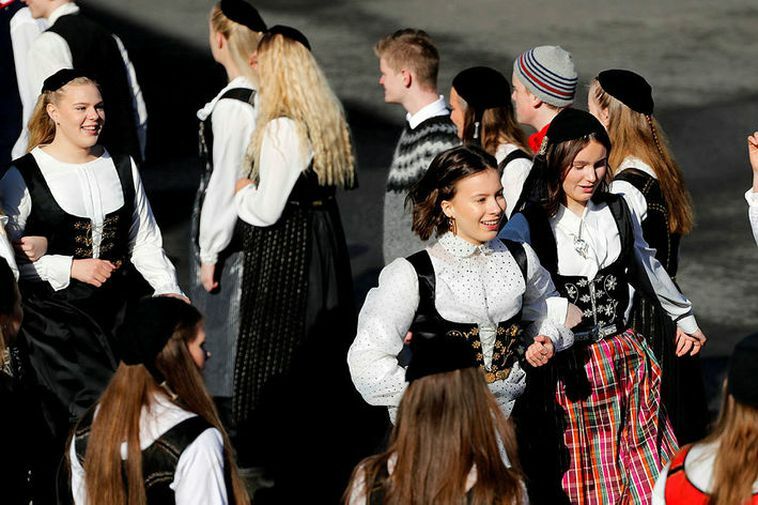 The males’ costume can be seen here. 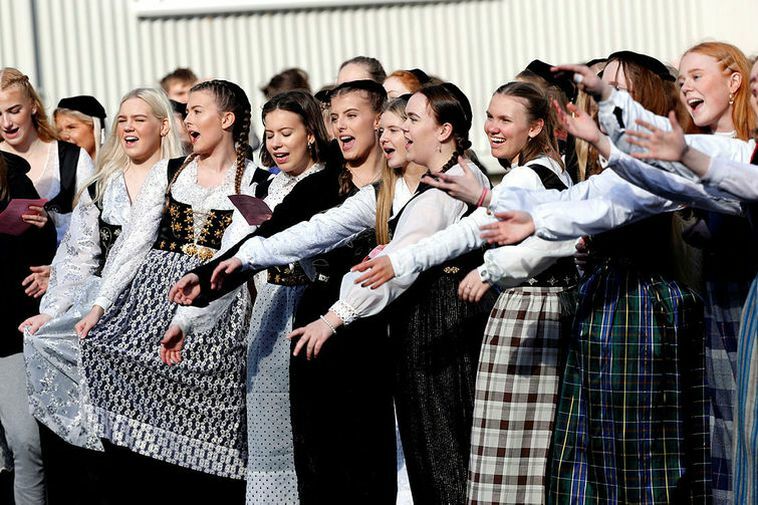 Peysufatadagur has been celebrated at Kvennaskólinn since 1921, when the students decided to come to school one day, dressed up in their national costumes. Back then, the school, founded in 1874, was for women only. The first male student to enroll at the school did so in 1977. 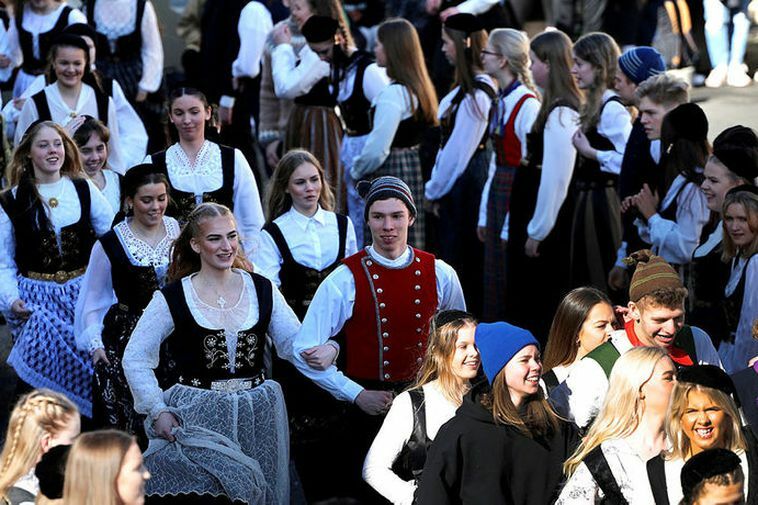 Since then, the number of male students has gradually increased, now making up 38 percent of the student body of 650. 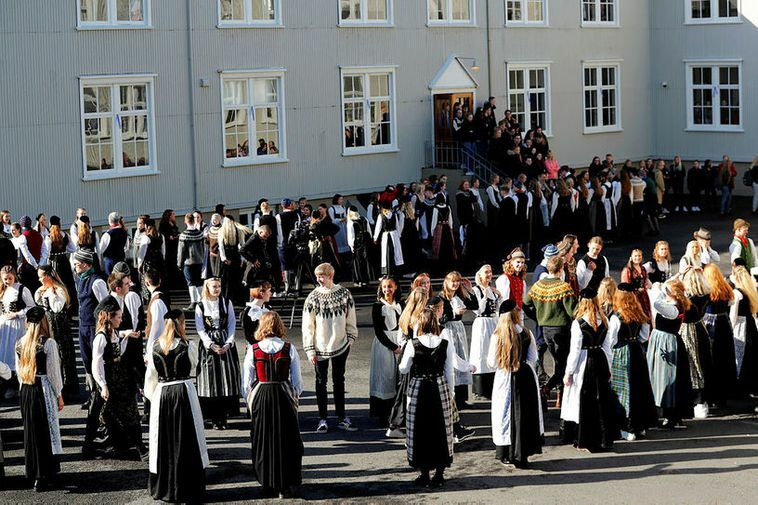 The school became a junior college in 1979, graduating the first students in 1982.